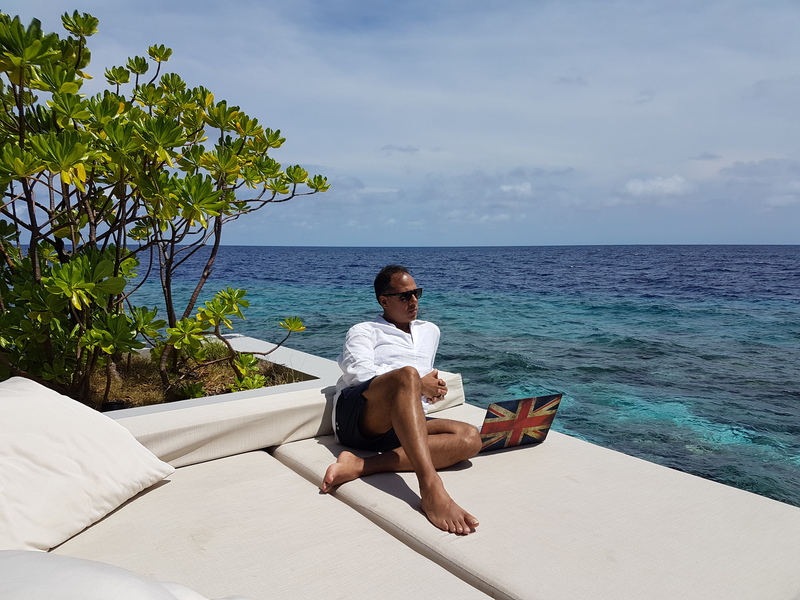 I write to you from the Equator, on an Atoll in the centre of the Indian Ocean, which is a couple of hundred miles from the British Military base, Diego Garcia. From here I have a good calm place to contemplate the arguments about Britain being in the EU. But it is the British base at Diego Garcia equidistant from Singapore and Somalia that holds a clue to Britain’s future and the world we want. Is she a second rate power at Putin claims? Is this tiny island nation with bases thousands of miles away in a foreign ocean trying to punch above her weight? Is Britain with a permanent seat on the United Nations Security Council, representing a mere 1% of the world’s population, really irrelevant – despite having a veto power over all resolutions by the UN? Is this G7 member, the fifth largest economy in the world, weaker outside the EU as Obama claims? What worries me the most about the arguments on the EU and Britain is that it is increasingly about immigration and a desperate attempt by both sides to win through half-truths. This is then spilling over into the London Mayoral contest, and I wonder whether some of it is because we think Trump’s anti-immigrant stance has worked. When you are a rich country with a Colonial past, you have less right than most to be anti-immigrant, just as when you are a British Indian who has benefited from immigration, you have less right than most to be anti-immigrant. At best you sound ungrateful and hypocritical, and worst you sound stupid and in denial. I need a strong Britain. An economically strong and politically strong Britain, because I am British and like British values, and fear a world where those values are not held up. I fear a world where the values of Trump or the Chinese or Russians are the major voices, or even the EU voices are the loudest. That base at Diego Garcia is a joint base with the Americans as part of the British Indian Ocean Territories. It is not a remote island harking to yesteryear, but in fact a precense that protects free trade sea routes and a base from which to project power into the Indian Ocean to the Arabian sea to the coast off Western Africa – not Britain alone, but alongside America. What business is any of this of ours? Of Britains? Because in a landscape of competing national interests, we need to fight and stake and keep our claim, for the values which we first encourage upon the world, or at worst, impose. But we’ve seen their alternative visions from China to Russia to Syria, and I prefer our way. So what of Europe? The issue for me is are we politically stronger outside? Are we economically better outside? The case is not black and white. All rational arguments will leave us with uncertainty. Our future is not written. So the issue then becomes as with the Americans in 1776 when they broke their Union with the United Kingdom, will our people achieve greatness from within or outside? The British dream of global influence? Diego Garcia will actually stand either way. Previous Hindu Born British Terrorist – Do You Know Who Your Child Is With?